Turnberry Resort, the world’s first golf resort, has announced the appointment of a new General Manager to lead the award-winning destination through a new phase in its enviable history. Mr Jordi Tarrida (pictured above) joins from within Starwood Hotels and Resorts as the former General Manager of the Arabella Golf & Spa Resort in Mallorca. 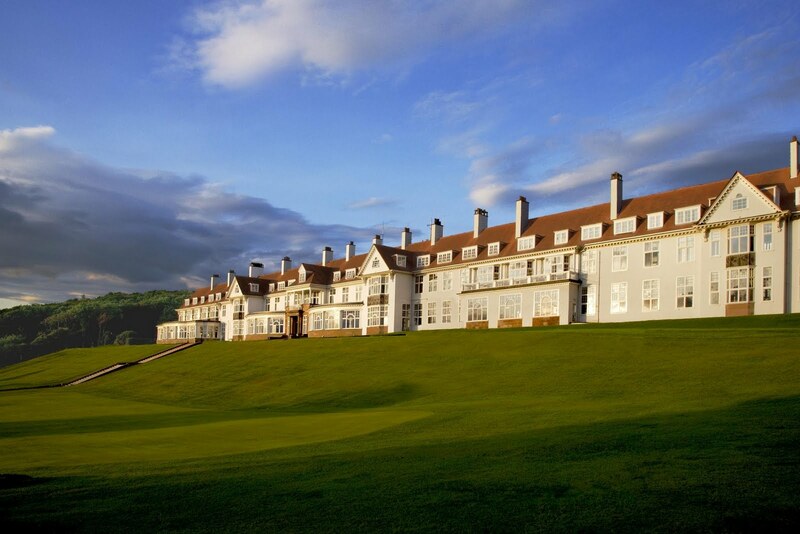 Jordi will now oversee the management of Turnberry’s 800 acre estate and three world-class golf courses. Next year, the resort will host the 2012 Senior Open Golf Championship. It will be the seventh time Turnberry has hosted this event, making it the most popular venue in the history of the tournament. The recently renovated Turnberry Hotel has 150 bedrooms in addition to eight self-catering apartments, an award-winning spa and outdoor activity centre. The resort’s golfing credentials include the legendary Championship Ailsa golf course; the Championship Kintyre Course and the Arran Course, as well as the Colin Montgomerie Links Golf Academy and Scotland’s first and only TaylorMade Performance Lab. With a passion for golf and fine dining, Mr Tarrida is well placed to make his mark on the iconic Ayrshire resort. He commented: “I have long admired Turnberry - it is a truly fantastic hotel with incredible charm in a wonderful location and I am very much looking forward to working with the team. The news comes after former General Manager Stewart Selbie accepted a new role within Starwood as Complex Manager for The Westin Dubai Mina Seyahi Beach Resort & Marina. Stewart served for eleven years at Turnberry, overseeing the property’s Centenary celebrations in 2006 and a multi-million pound refurbishment, ensuring the resort was ready in time to host the 2009 Open Golf Championship. Michael Wale, Senior Vice President, Starwood Hotels & Resorts said of the announcement: “We are delighted to welcome Jordi to Turnberry. He brings with him a wealth of experience in the international luxury resort business and I have no doubt that Scotland’s Luxury Collection Resort will benefit immensely from his knowledge and expertise. Turnberry Resort may be best known for golf but its food and drink offer has been the subject of recent critical acclaim under the management of Australian Head Chef, Justin Galea. The resort boasts an award-winning signature restaurant, 1906, in addition to the elegant Grand Tea Lounge, James Miller Room, Ailsa Bar & Lounge, Duel in the Sun bar and panoramic Tappie Toorie restaurant. For leisure guests, Turnberry is home to the UK’s first ever ESPA spa and has also made many improvements to its on-site outdoor activity centre which offers quad biking, horse riding, fishing, off- road driving and falconry.